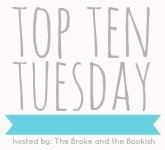 This week's Top Ten Tuesday prompt wants to know which books are on your spring to-be-read list. There are quite a few books coming out in the next few weeks that I am definitely eager to read. While some of these are new releases, others are books that I have been meaning to read - and what better time than spring-time?! *thank you to the publishers & netgalley for allowing me to read early copies of some of these. I'll be reading Requiem very, very, very soon! Really great list!! I will be reading The Moon and More and This is What Happy Looks Like for sure!! Oh and also Nantucket Blue and The Art of Wishing... there are just so many good ones coming out this spring, I'm so excited!! I've seen This Is What Happy Looks Like on so many lists, but I can't read that until I've read The Statistical Probability of Falling In Love. I need to get on it! Sarah MacLean is always a good additional to any to-read list. Great choices! I definitely have a lot of these on my to-read list and you gave me a few new suggestions. Thanks! Yes! This is What Happy Looks Like! The Moon and More! Requiem! Clockwork Princess! These are ALL on my TBR list ... I've also heard really good things about Sarah MacLean -- I think I have the first book in that series. I should try it sometime! This is What Happy Looks like, I loved Love AT First Sight and I can't wait for the next one to come out. Also, A Rogue By Any Other Name is so much fun to read, as are most Sarah MacLean novels. I can't wait for you to start this series! I have got to get back into the Lucky Harbor series. I finished book 4 and then didn't continue - shame on me! Adding some of these to my list. :) Are you as nervous about Requiem as I am?? Never heard of Nantucket Blue, but the cover is cute!! This is a brilliant list! I definitely want to read all of these, especially Clockwork Princess and Nantucket Blue. Yay, so many good books to look forward to! I also have Nantucket Blue on my list. That Time I Joined the Circus and This Is What Happy Looks Like sound pretty interesting! I just got an arc of That Time I Joined the Circus and I can't wait to read it! I also need to finish Clockwork Prince so I can read Clockwork Princess! I haven't read any of these books, but there's some good authors here. Great list! Here's my TTT for the week. 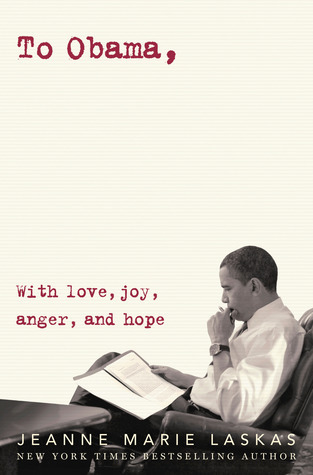 Happy (Spring) reading!